I carry Pendleton blankets in my FJ40 to keep me warm on cold clear nights in the National Parks. 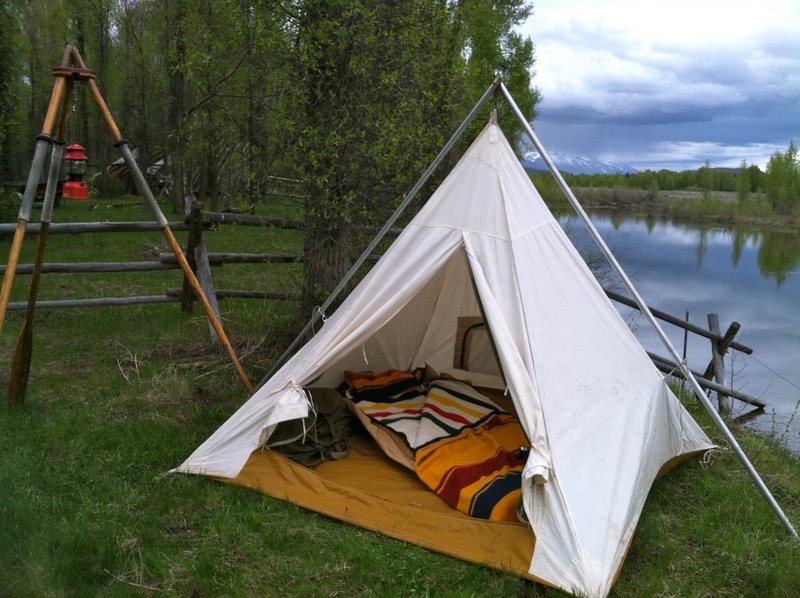 I carry a canvas tent and canvas bedroll by Ellis Canvas Tents from Durango, Colorado – it’s a throwback style of camping that I use for all my outdoor adventures. 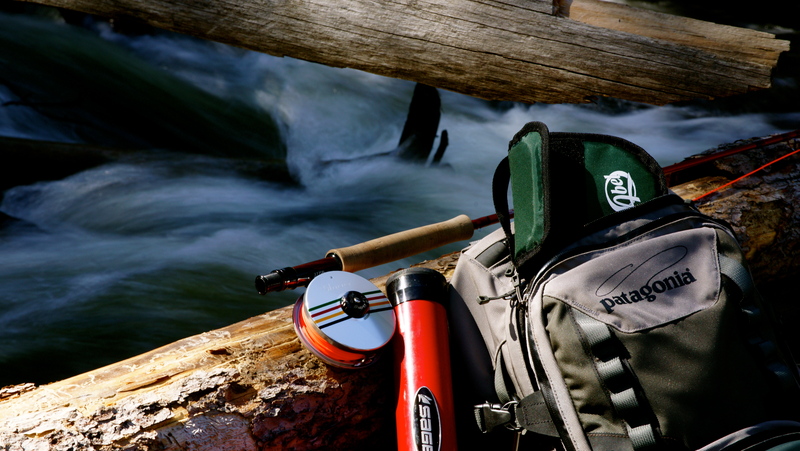 I pack my clothes and blankets in Watershed dry bags to keep the water out and make sure everything stays dry. 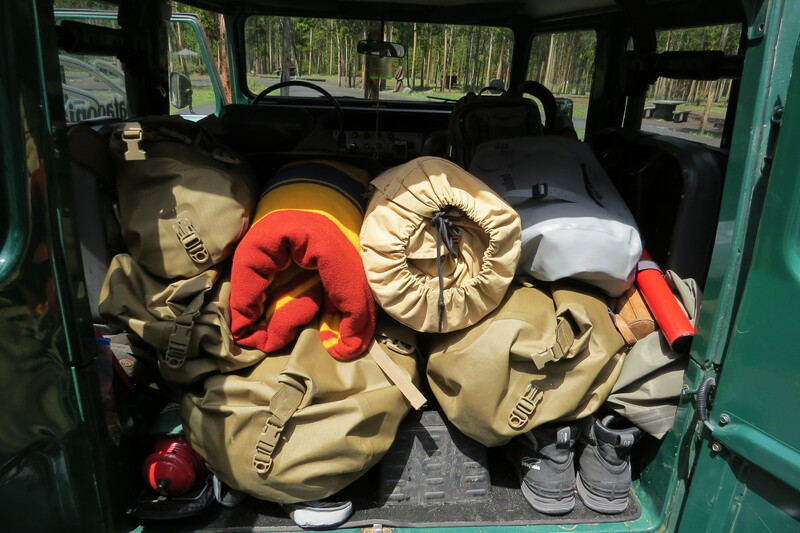 I carry things to keep my Land Cruiser running – antifreeze, jumper cables, oil, tools, winch cable, a logging chain, ropes, a hatchet, pulley’s, a farm jack on the front bumper, flashlights, and lug nut wrench. 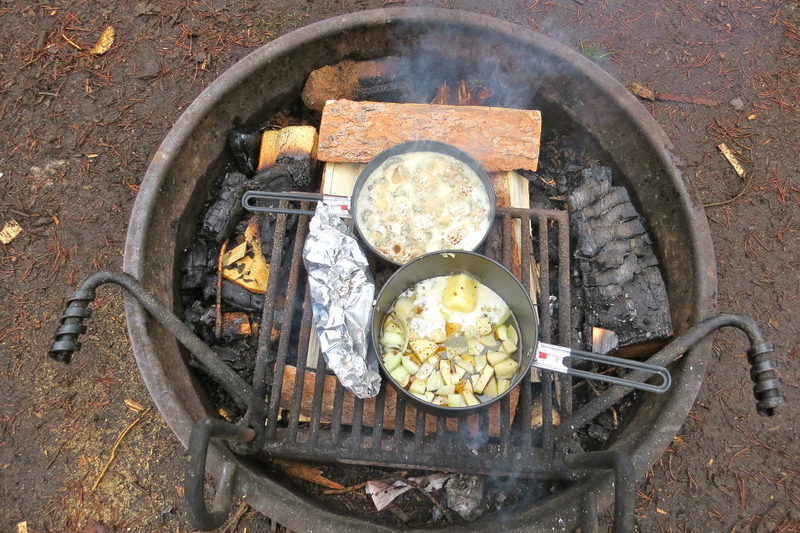 I pack all my MSR cooking and kitchen gear in an old green Coleman – it reminds me of camping in my youth. 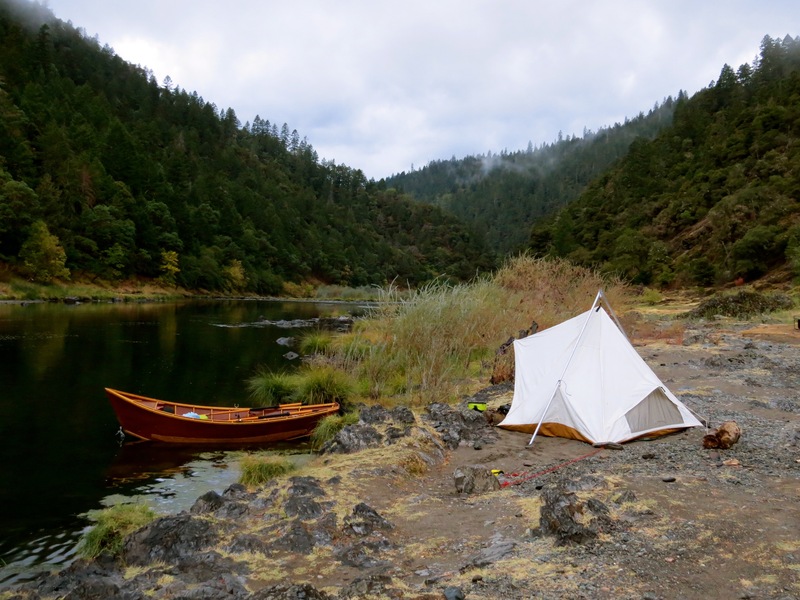 I pack a Partner steel gas stove, a Lodge dutch oven, Strongback camp chairs, a ThermaRest cot and sleeping bag, and an old school Rand McNally cause I prefer “ink on paper” maps. 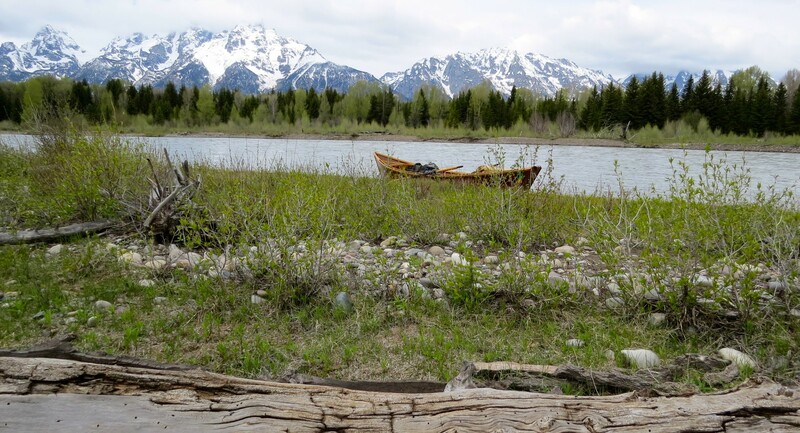 Mostly, I carry optimism in my 1983 Land Cruiser… that the trip will go well, that we’ll catch fish, that a story will emerge, that the Toyota will keep purring along, that all the planning and preparation will result in an epic adventure in the great outdoors. 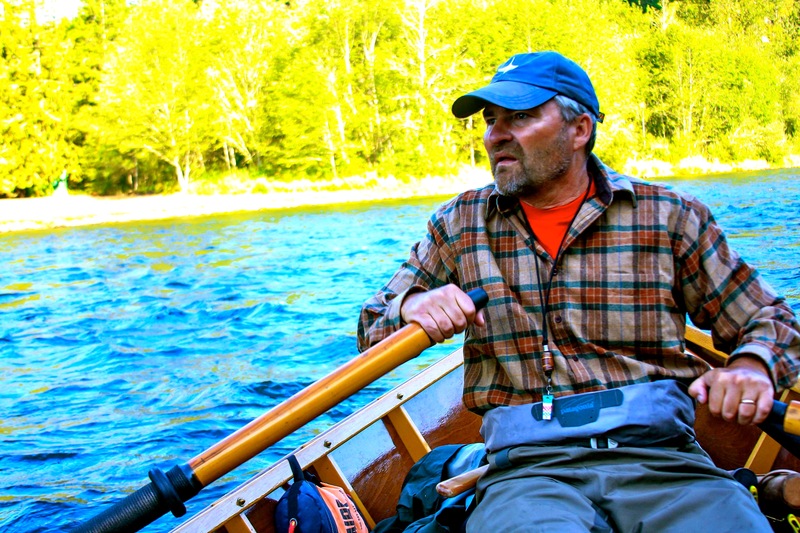 Around my neck I wear a lanyard that has a fob made of laminated scraps of my boat – mahogany and Alaskan yellow cedar. It’s weathered and worn but varnished to a high gloss. 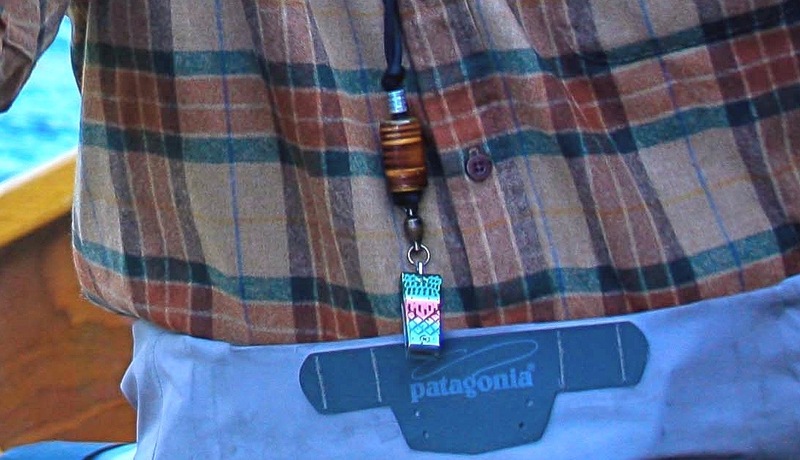 At the end of the lanyard hangs a pair of Abel nippers for clipping the tag end of knots from the flies I tie on my line and the line of my guests and a stainless steel whistle hangs on the clip that I use to alert the team of danger or disaster. 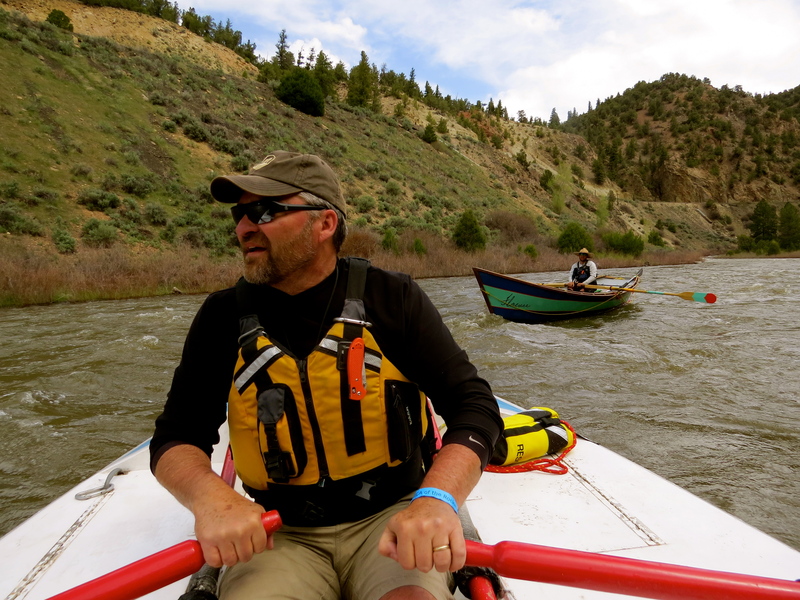 In my boat I carry fly fishing gear – Patagonia waders and boots, Sage rods in a leather rod case, Abel reels, and hand tied flies. 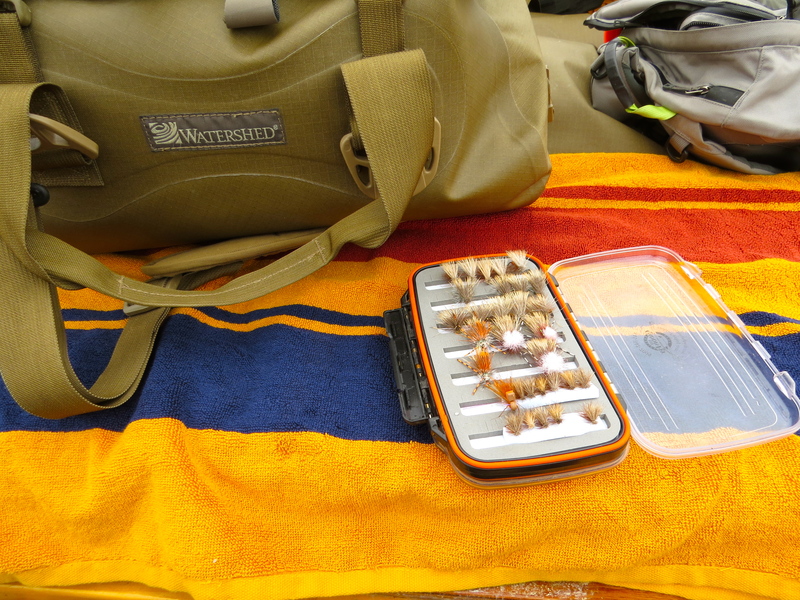 Sometimes I take along my favorite 6-7 wt Burkheimer Switch Rod and other times I take my Winston 4 wt. I always take my Sage 5 wt and 6 wt. I wear my Kokatat flotation device and always have a Benchmade knife clipped to the strap for fast access in case of an emergency. 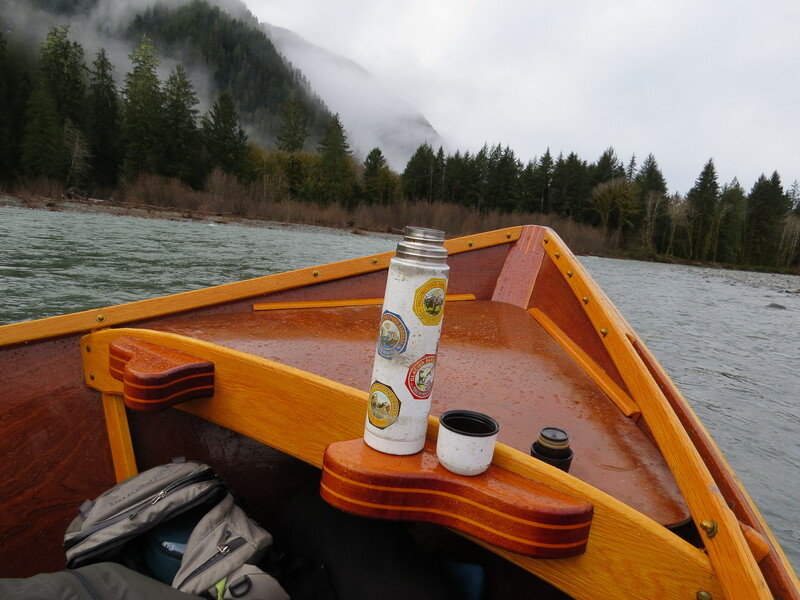 I carry a couple of climbing ropes in the boat, three custom made 9 foot Sawyer Oars , and an old Pendleton National Park Thermos… that’s right – and that’s all I need… “this thermos”…. and “this lamp”… and that’s “it”. I carry a Canon Powershot Camera and a Fuji XT-2 mirrorless with a variety of lenses. 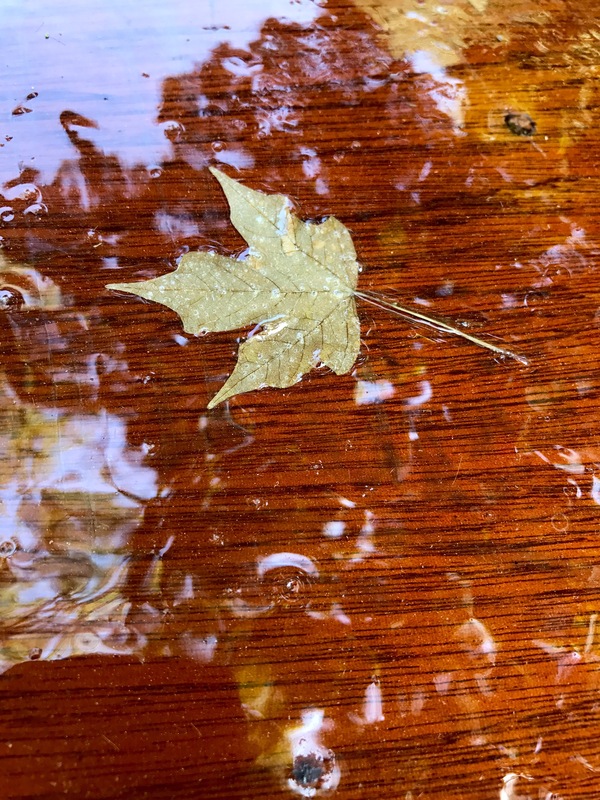 On the bottom of my boat I carry a leaf that I epoxied into the boat just for fun. 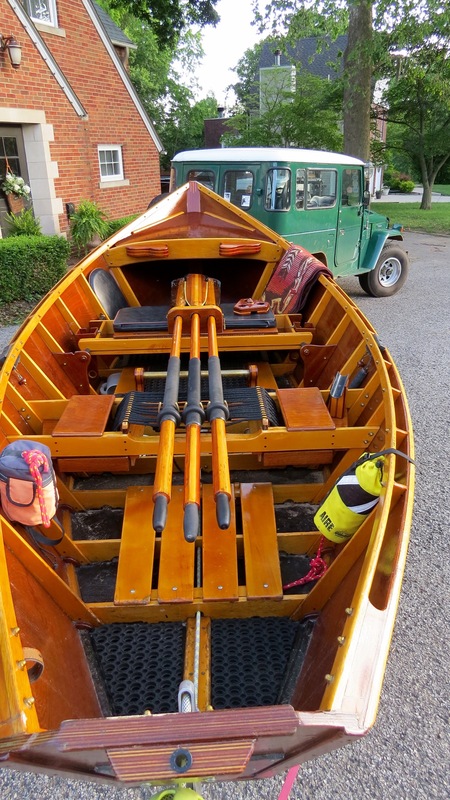 In my boat I carry thousands of miles of rowing experience, a steady hand, a calm head, lots of enthusiasm, and a prayer before every rapid “for strength, judgement, and nerve”. 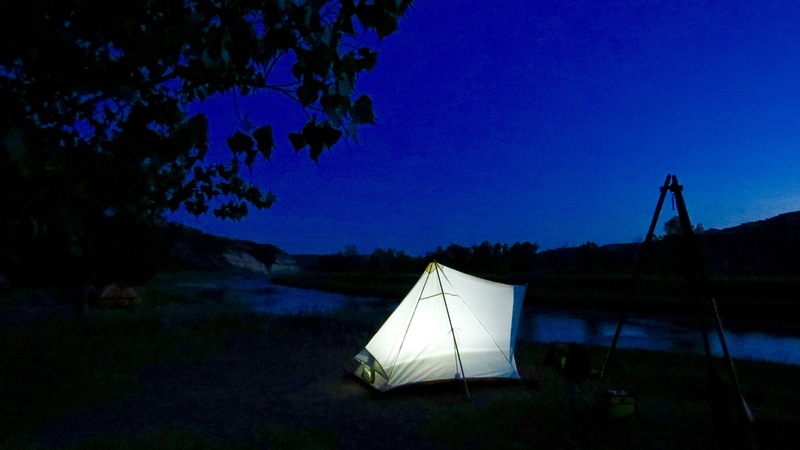 I carry drinking water, food in Yeti Coolers two rescue throw-bags and two wooden gadgets I made to hold my oars in place as I travel to the river and another one that forms a tri-pod in camp so I can hang an old Coleman camp lantern on the hook for an elevated light when the sun sets. 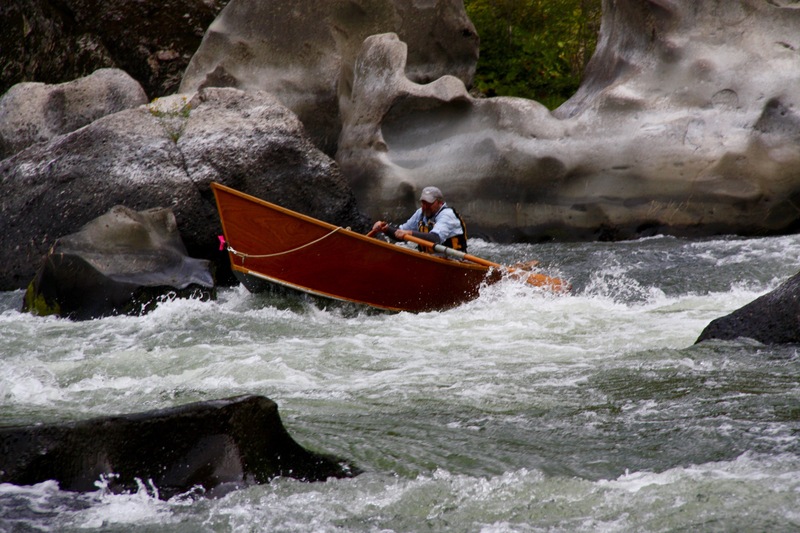 On my back I carry Pendleton shirts, WoodenBoat hats, Mountain Khakis shorts and pants, and they all carry the smell of a campfire. 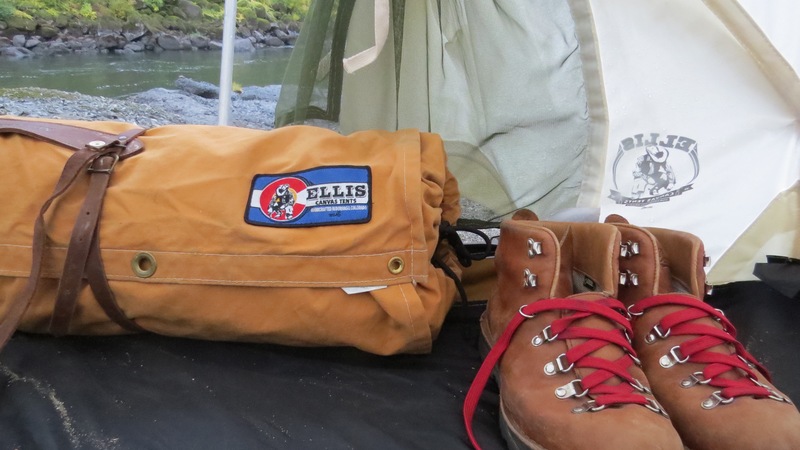 I carry Teva river sandals on my feet, Popticals sunglasses for my eyes to cut the glare on the river, Danner Boots with red laces and Patagonia fly fishing vest, back pack, and guide jacket. I carry a Buck knife on my hip and pliers in a sheath. On my back I carry the concern for the safety of my passengers and my team-mates. In my mind I carry confidence. 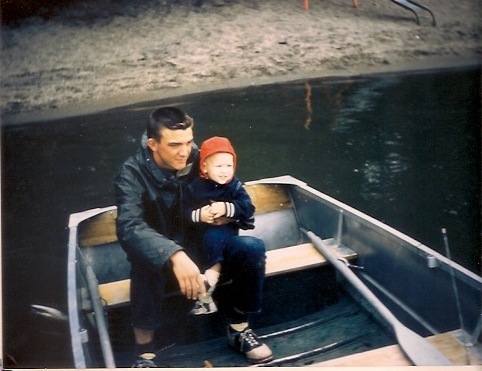 I carry occasional thoughts of my dad who died when I was a teenager, constant thoughts of my wife and kids and grandkids, a blue print of the river and every rapid of note, contingency plans for just about every situation, a positive attitude, and a feeling of “small” in the bigness of the outdoors.